What makes BSO Benderslaan so special? BSO Benderslaan is located in the Keizer Karelpark district, nearby a big park. The activities provided may include sports, nature, fun workshops, drawing, painting, music and dance. 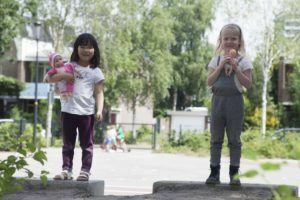 The after school care is located in primary school Het Palet-Zuid. 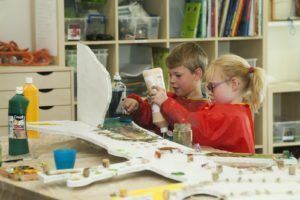 Childcare and education under one roof, gives you and your child a sense of harmony and provides stronger foundations for guidance with the school and childcare working closely with each other. 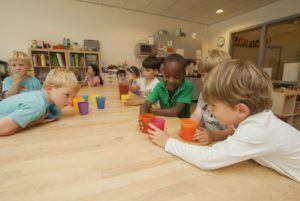 BSO Benderslaan provides childcare for children aged between four and seven years. From the age of eight, children need more space and excitement and are therefore more then welcome at the Sportlaan 8-plus BSO. On Monday, Tuesday and Thursday until 6.30 pm, in holiday weeks from 8.15 am until 6.30 pm.